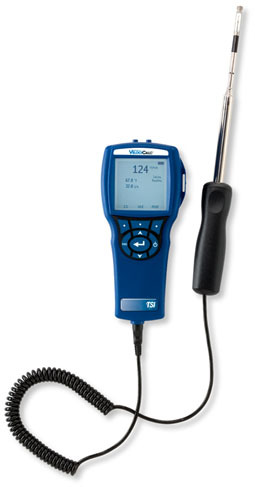 The VelociCalc® Air Velocity Meter 9535 is like having multiple meters for the price of just one. This meter simultaneously measures and data log several ventilation parameters using a single probe with multiple sensors. It measures velocity and temperature; and calculates flow. The 9535 model comes with a telescopic straight probe.